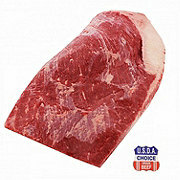 With a superior level of fat marbling and flavor, H‑E‑B Prime 1 Trimmed Beef Brisket is the highest quality U.S.D.A. 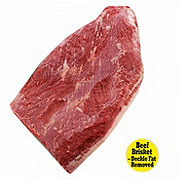 Prime Brisket. 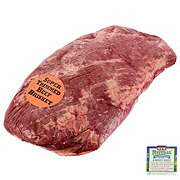 Prepared in store, our brisket can be slow‑cooked, barbecued, oven‑roasted, and more. For maximum taste, season with your favorite dry rubs and sauces, or just classic salt and pepper. 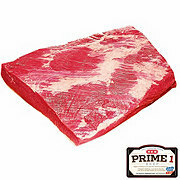 Any way you choose to prepare it, we're sure you'll love the delicious taste of this H‑E‑B Prime 1 cut. 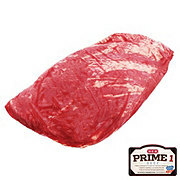 H‑E‑B Prime 1 Beef is aged a minimum of 14 days for maximum tenderness. 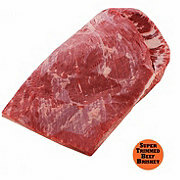 It also contains superior marbling, is U.S.D.A Certified, and comes from the top 2% of beef in the nation, ensuring excellent quality and flavor.